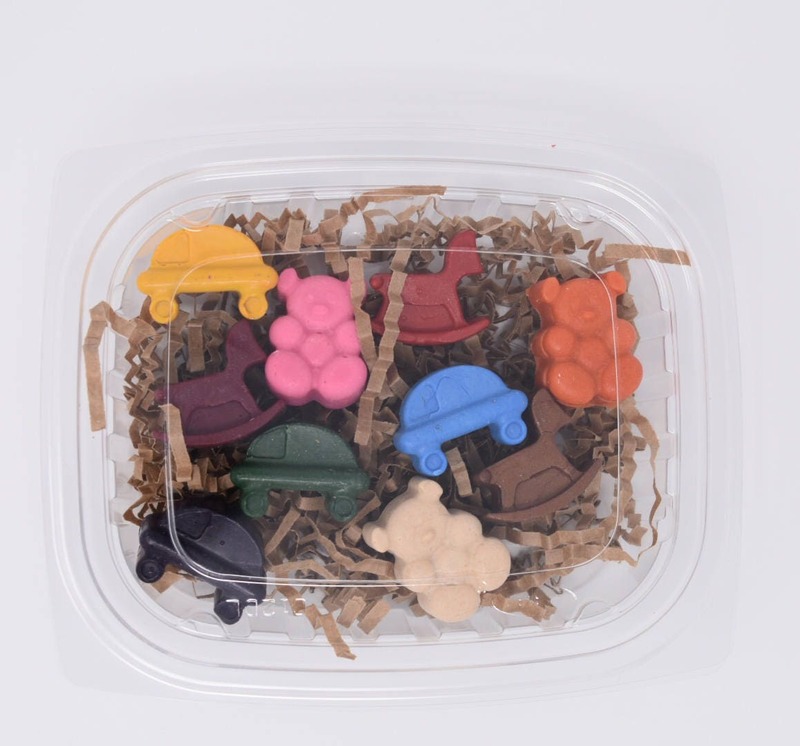 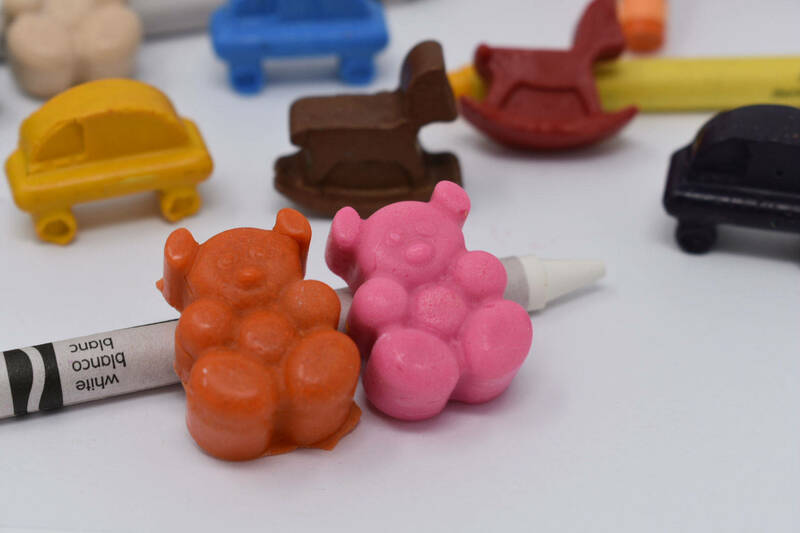 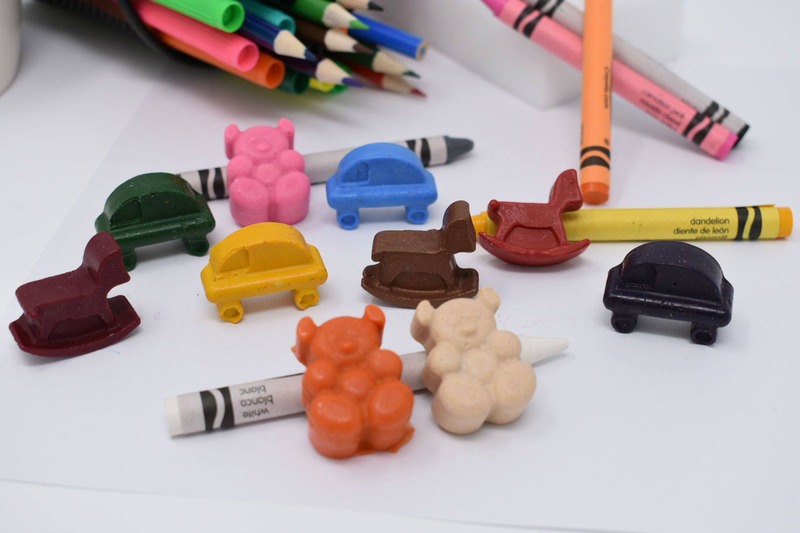 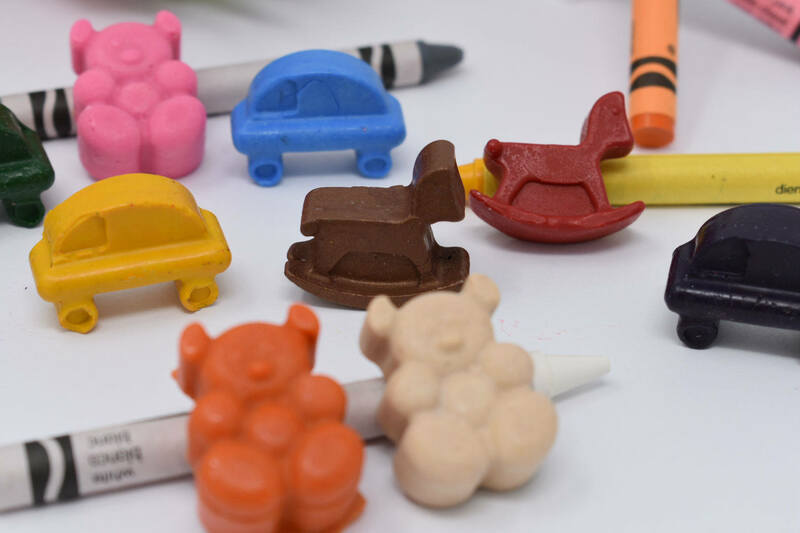 These crayons are repurposed broken crayons that have been sorted by color and re-formed into Kid Toys Crayons. 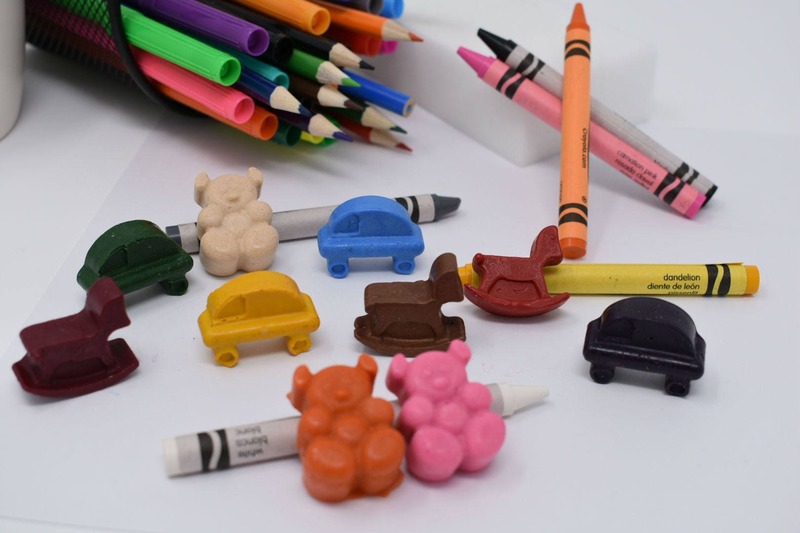 The set comes with 10 crayons in varying colors. 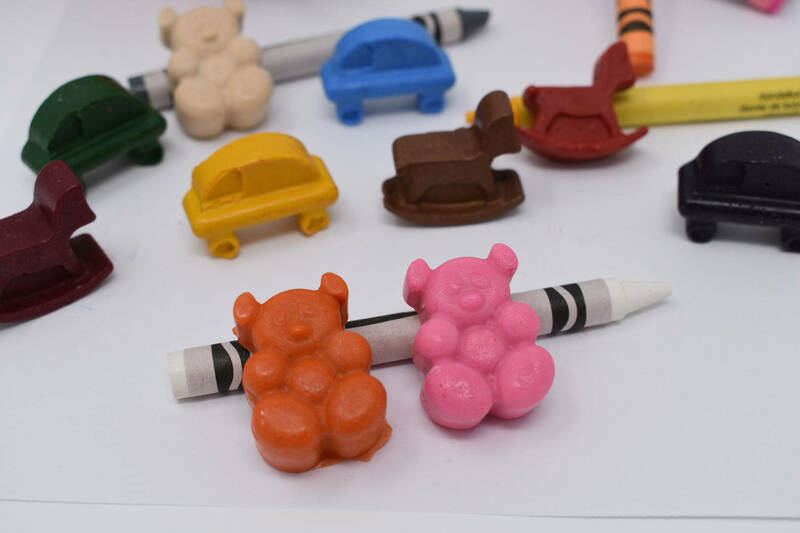 Kids Toys Crayons are approximately .75" x 1.125" x .375" each in size.